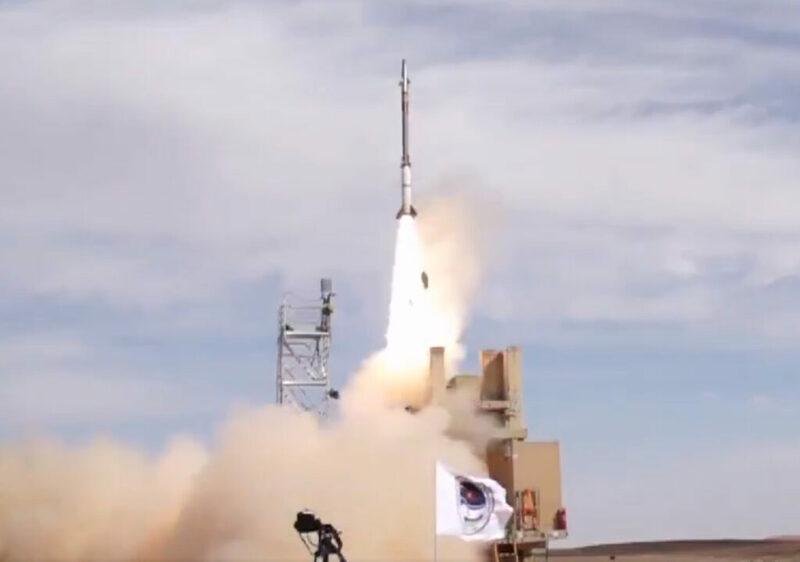 The Israel Missile Defense Organization (IMDO) of the Directorate of Defense Research and Development (DDR&D) and the U.S. Missile Defense Agency (MDA) successfully completed a test series of the David’s Sling Weapon System, a missile defense system that is a central part of lsrael’s multilayer antimissile array. This test series, designated David’s Sling Test-6 (DST-6) was the sixth series of tests of the David’s Sling Weapon System. The test series examined capabilities and performance of the entire David’s Sling Weapon System. These successful tests are an important milestone in operational capability of Israel to defend itself against existing and future threats in the region. The information collected during the test is being analyzed by program engineers and will be used for ongoing development and fielding of the David’s Sling Weapon System. This test series provides confidence in future Israeli capabilities to defend against large-caliber rockets and other developing threats. The David’s Sling Weapon System project is a cooperative effort between the United States and Israel to develop a defense against large caliber rockets and short-range ballistic missiles.